Have you ever looked around your home and questioned how you accumulated so much junk? When spring cleaning rolls around every year, you probably find things you've never used or things you didn't even know you had. It seems that no matter how big your house is, there's just never enough room for all this stuff. But what if the answer wasn't to get a bigger house, but to get a tiny house instead? There are many pros to living in a tiny home, including saving money and traveling easier. But downsizing your life this much can be hard. Wondering how to make the transition easier? Read on to discover how to prepare for your move into a tiny home. If you've spent your whole life in a spacious living environment, you may want to take some actions to make the transition easier and more natural. One of the best downsizing tips is to take small measures to gradually adjust to a smaller home. Start by getting rid of all that stuff you know you don't need. You'll probably find that a good portion of your clutter starts to clear up already! Then, we always recommend spending some time in a smaller home. There are plenty of Tiny Homes or alternative dwellings for rent on sites like Airbnb.com for an extended weekend. If you feel that you still aren’t quite ready for your own tiny house at this stage, try to get a studio apartment with a 6-month lease. That should give you some time to adjust and see if you could handle going even smaller. But don't let all this time go to waste! Keep throwing away or donating all stuff you don’t use and start designing your tiny home for some added motivation! When figuring out how to downsize your home, you may come across many things that you want to keep "just in case it comes in handy in the future." But this mindset is exactly what causes clutter in the first place! If you can't bring yourself to throw it away just yet, don't just put it back where you found it. Instead, put it in a box. As you adjust to downsized living, continue to add things to the box. Before you move, look through it again. You'll probably find that you no longer need most of those things. Occasionally you’ll find that you actually do need certain things that you’ve stored. When this happens, you’ll know exactly where to find it! Downsized living can be a challenge for anyone to adjust to. You’ll have limited storage space that can’t be wasted with things you don’t need. The best way to downsize is to design your tiny home carefully. With the smaller footprint of your tiny home you'll need to utilize every inch you can. Find ways to include storage in odd places, like under the stairs, and opt for multipurpose objects, like an end table that doubles as a dog bed. Take a look at other tiny homes and see what features you like, and how they can fit into your tiny home. If you've decided to take a more minimalistic approach to your life, you may be excited to move into your very own tiny home. But downsizing into a tiny house isn't always as easy as you think. To make the transition go smoothly, follow these downsizing tips, like taking small steps, using the box method, and designing your tiny home with care and you’ll find that not only did you downsize your home and footprint but you upgraded in your quality of life. 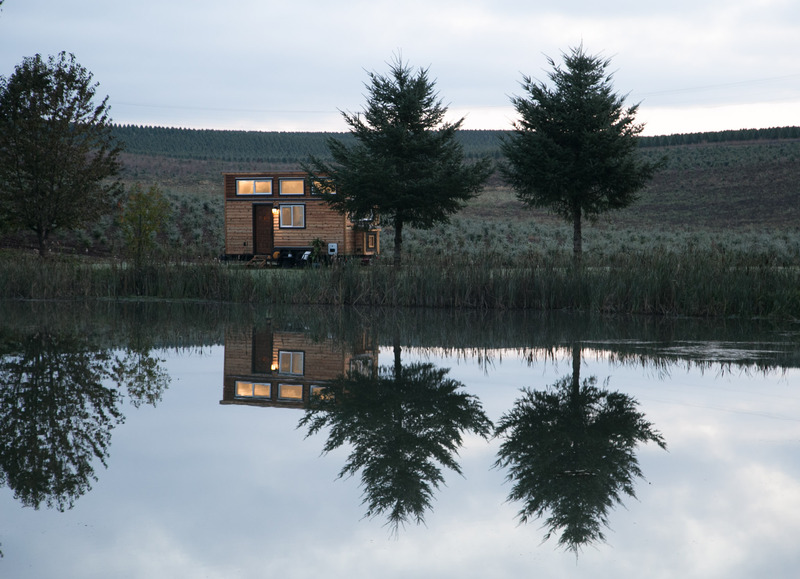 Are you ready to make your tiny home dream a reality? Contact us today to get started!